The Miss Universe pageant have crowned its new winner on Sunday, January 29, 2017 at The Mall of Asia Arena in Manila, Philippines. Iris Mittenaere from France was named as the 65th Miss Universe title holder after beating 85 other ladies from around the world. 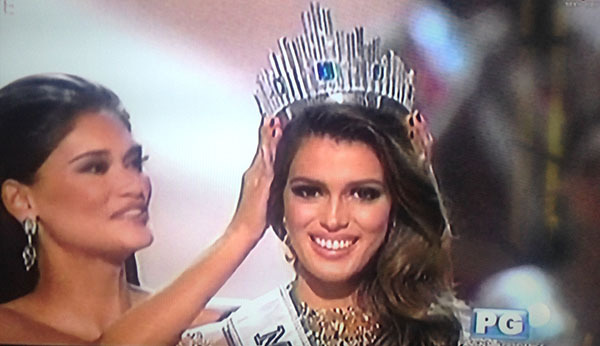 Miss Universe 2015 Pia Wurtzbach of the Philippines passed the coveted crown to Iris Mittenaereat the end of the competition. Did you missed the Miss Universe 2016 Grand Final competition and grand coronation night? Watch the highlights video below, full replay will be added once available online.